The Bridgewater-Raynham Special Education Parents Advisory Council (BR-SEPAC) will be holding a meeting for the 2012-2013 school year on Tuesday April 24th at 6:30 pm. Following the meeting, at 7 pm there will be a lecture titled, Bullying and Harassment. The presentation will include a discussion of the various aspects of the Massachusetts Anti-Bullying law, disability-based harassment, and the school’s obligations in these circumstances. The meeting will be held at the Bridgewater-Raynham High School Library (second floor) located at 415 Center Street, Bridgewater, MA. The BR-SEPAC is made up of parents that represent about 850 children with special needs within the Bridgewater-Raynham School district. The BR-SEPAC works collaboratively with the Bridgewater-Raynham Public Schools and Bridgewater-Raynham School Committee to provide support and information for parents, school personnel, and the community about disabilities and the special education process. 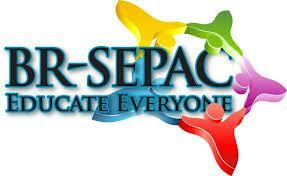 The Bridgewater-Raynham SEPAC accomplishes this through regular meetings, workshops, presentations, and special events. The meeting is free and open to all. For more information visit our website: brsepac.org or email sbenjamin@brsepac.org.